Quite often, we hear clients complaining about a declining web performance. They often cite examples of their best business rivals, and they expect their web marketing team to keep up with the Joneses. Often a team looks at the analytics data, and performs month over month and year over year comparison. To their surprise, they see the volume of traffic, page views, revenue, conversion rate, etc., indeed, plummeting month over month or year over year. In an attempt to show the client the positives, they bend over backwards as much as they can, such as, image tagging, link submission, web audit, article posting, social media marketing, blog commenting, bookmarking, bid adjustment, ad copy optimization, landing page testing, and what not. The end result - more or less the same! They pump air into a tire without examining if there is invisible puncture in it. They do guess work and assume some possible impact of Google algorithm changes. For those who does not know how to test whether or not Google algorithm updates have impacted the client’s website, Penguin Tool 2.0 tool is an excellent to make use of. Many a time, we also observe how web marketing team deems it as their failure, and does stretch so hard to literally spam the web to meet the clients’ expectations. On the contrary, there are people who know how to take on such clients. Yes, they do a competitive benchmark analysis (CBA), and unlock the mystery behind declining performance of website. In fact, they look at the picture from an Eagle’s eyes than simply carrying a chip on their shoulders and see analytics data from an earthworm’s view. I have seen inbound marketing teams, especially off-shore teams, fail due to a sheer lack of ability to perform competitive benchmark analysis. Their failure can be ascribed to their inability to understand the business model of their overseas clients. They flutter around the data, and see their competitors just from typical search engine point of view, and ignore many elements that are equally necessary to focus on while performing a 360º CBA. What elements to consider for a competitive benchmark analysis? 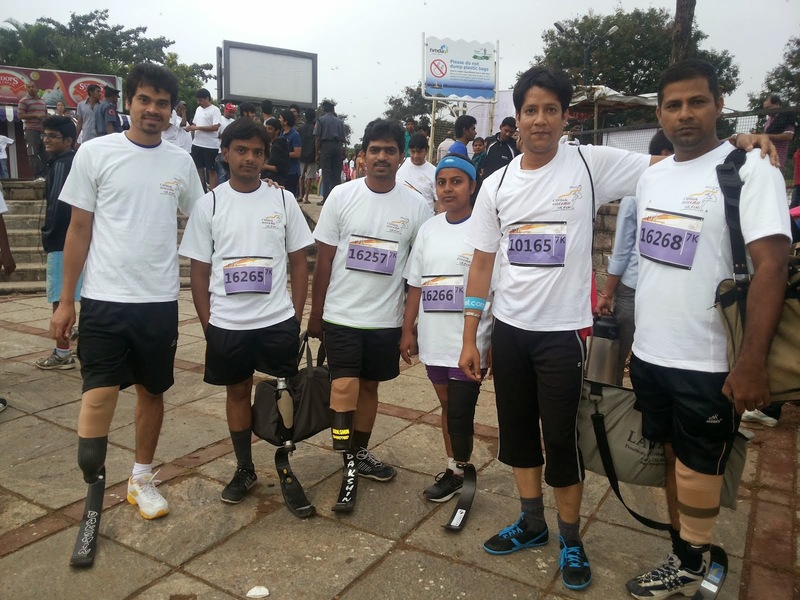 Whether the story is same for others in a similar business – their business rivals? Are the negatives, we see, creating illusion? If they are, then how to clear the haze? It’s not so difficult to get the answers to the above self-questions. Avinash Kaushik’s excellent post on benchmark analysis was a good attempt to unlock the mystery but Google removed the benchmark feature from analytics. Not sure if his post has still some readership, nevertheless worth reading for reference. While we all know there could be several reasons behind a declining web performance, the reasons could be either endogenous or exogenous, or both. However, a competitive benchmark analysis may clear the hazy notion, and get us to a point of drawing some data-driven facts. Identify top competitors and benchmark them (Google them first, and get them verified by the clients because they know their business rivals very well. 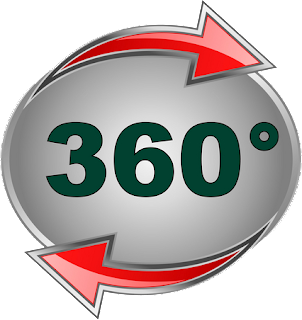 The above concentric circles show a 360º approach that is comprised of 10 different angles (dimensions) to look through while performing a competitive benchmark analysis. Each of these dimensions may help you understand the top competitors’ strength, weakness, threats, and opportunities. For convenience, I have listed down various items to check under each of the dimensions as shown in 360º concentric circles. Color Aesthetic, Usability, Clean Layout, Flat Structure, etc. Hint: The figure 1.0 shows how to compile the checklist in spreadsheet (Create a Tab 1: WA) with the competitors along the top, and criteria down the side. Please, remember each of the listed items is a separate area of study. For example, you need to check the standard checklist of usability (references provided below) before assigning ‘Excellent, Good, Average, and Poor to any competitor site that you have benchmarked. I would recommend you to establish criteria for some of the items wherever necessary such as layout structure, content, schema, and usability. Provided below are a few additional resources for your reference that may help you measure important items as provided above. Although, color aesthetics is a study of usability yet it needs to be evaluated separately because it plays a big role in human psychology. Color stimulates our senses, increase our inquisitiveness to explore, and browse a website. Hence, it’s good to study the color aesthetics of competitors’ websites. Usability plays a key role in determining the performance of a website. At time, when we are seeing a rising trends in web accessibility across multi-devices. UX plays a key role. Moz has published ‘The Beginners Guide of SEO’; Chapter 6 that highlights how usability, user experience, content affect search engine rankings. On Jan 19, 2012, Google officially announced launching an algorithmic change that looks at the layout of a webpage. There are further TWO approaches to this. One is related to developing SEO friendly web layout while other is related to developing Google analytics friendly site structure. Robin Steif has an excellent post –‘Designing a Google Analytics Friendly Site’. Developing SEO friendly web layout, Microsoft has published ‘Block Level Analysis’ that highlights the importance of web page layout from SEO perspective. It’s important to understand the technology behind a website of your competitors. Are they using the latest PHP version or .Net Framework or Magento for ecommerce portal? It has been observed that a site developed on ASP.net has many SEO issues for lack of following the best practices. It’s better to check whether competitor’s site is in compliance with W3C standard or not. You can also compare your or your client’s website to understand the type of errors that W3C validation tool shows up. Note: You can add more items to the checklist. However, it’s good to refer the template, and customize based on your requirement. Whether competitors have followed the best practices in designing their website structure? What elements or criteria to consider while measuring competitors’ site structure? This is an important area to look into. It’s important to check above fold analysis of your competitors benchmarked. Are they “Above the Fold” hardliner? It’s believed that users don’t scroll down a webpage. If a website does not have all important information above the fold, it fetches relatively a higher bounce rate compared to a site having information above the fold. Jakob’s findings, about80% of a web users’ time is spent looking at content that appears above the page fold. While users do scroll down a webpage, only 20% of their attention is spent viewing content below the fold. Google has also updated above the fold algorithm on Jan 19, 2012. Thus, it is necessary to pay attention to this area while conducting a competitive analysis. Certainly you need to test Schema and Microdata as part of competitor analysis. You can identify the gap, and then recommend opportunities to consider schema and Microdata mark up if necessary to improve the performance of website from search engine perspectives. This is an important element to test if a competitive website is compatible with all standard browsers. This is one of the most important elements to know if competitor sites’ are responsive or not. Google too recommends a responsive design. Search Engine Watch published a post on 3 Reasons Why Responsive Web Design is the Best Option For Your Mobile SEO Strategy. Hint: You can manually check engagement and trust elements while you make use of the following tools, and refer additional sources for measuring page speed, and user-friendly navigation. Hint: There are various templates available to measure search engine competition or you can customize your own template; whichever you like, to incorporate above items for a good comparative study. Hint:You may get all information by visiting your competitors’ websites. List them all in a spreadsheet, and rate them accordingly. You need to evaluate how strong your competitor is in each of the market channels. See the screenshot below. Area of Reach, Distance, Miles, etc. Hint: You can extract location details by performing ‘contact us’ query on Google to see the listings of competitors’ locations across different websites. You may compile all information directly by visiting their websites. This dimension may help you understand the network and regional presence of competitors. Hint: Once you get all information about the network of locations of your competitors, you may further investigate on collecting required information about customers, local audience, and demographic composition. This analysis may help you identify a gap that you can plug with custom marketing program. Hint: Brand does matter. You may consider the above or any additional elements to assess the overall brand popularity of your competitors. You may use Google Trends to show the popularity of a brand against your benchmarked competitors. List them down in a spreadsheet with your remarks, findings, and observations. Top Products, USPs, Differentiating Factors, etc. Hint: Use Google Trends to perform a competitive demand analysis and check the above points. Identify the trends, popularity of their products or services, regional interests, etc. Document them properly with your findings and remarks for a good comparative study. Hint: List down all the above or additional points in a worksheet, and research to identify social media reach of your competitors. Monitor them for a week or two or a month. Your will get fair idea about the frequency of posts, number of subscribers, bookmarking, likes, shares, etc. Peter Wylie has written an excellent post on 5 ways to use the data generated by your social network profiles—and those of your competitors—to expand your reach and sales. Hint: Develop Sherlock’s Holmes attributes to stay in touch with competitors. Follow them on social media, and monitor them via alert, email subscriptions, feeds, etc. This may help you identify their regular marketing strategies. What a 360º CBA report looks like? There is no standard format, but once you combine all information to be collected from 10 different dimensions, you will have all required data in one place to compare dimension X with Y or vice versa. This will further help you understand the strengths, weaknesses, opportunities, and threats of your clients’ business against their benchmarked competitors. Furthermore, the report will also help you identify the areas to focus on in order of priorities. In short, a 360º CBA unlocks various mysteries behind a declining web performance, and gives holistic thoughts on corrective measures to improve the plummeting metrics that are important to your clients. You can perform CBA manually for some of the checklists but you also need tools for validating varied CBA checklists. In order to make your job easier, I have researched varied free and paid tools that may help you perform competitive benchmark analysis. Sharing is caring. If you spy your competitors, and use any additional item/tool other than what are provided, you are more than welcome to share. I like the tools that you say. 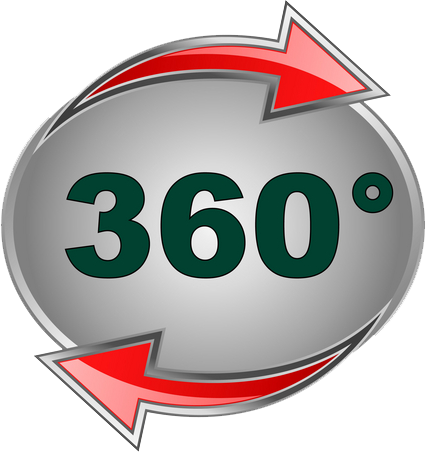 First time I have come across the explanation of 360 degree competitive benchmark. This makes everything so clear. Will definitely be using this. As has been said by everyone else, this explanation of competitive benchmark analysis look really helpful. There's some really good tool suggestions here as well. I remember having a conversation with a friend about this subject and he actually mentioned a few of those tools since a company called SQM (http://goo.gl/yPhg0N) had actually conducted a competitive analysis for his firm recently. In any case, a great article and thanks for sharing it. I have used this tool in the past. This makes it much easier.